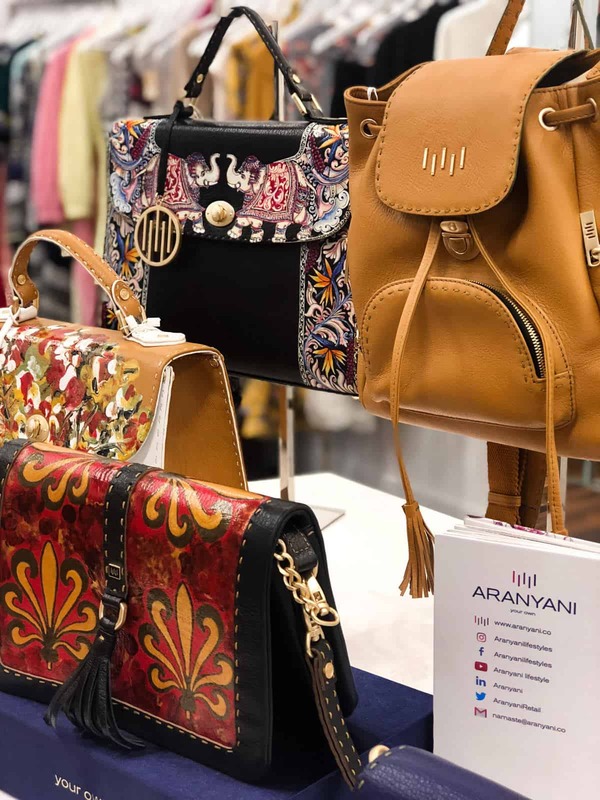 I had the pleasure of attending the Aranyani handbag collection debut Love, Peace and Happiness pop up shop at Dreams on Air in SOHO. The brand arrived in NY in February from India. I was drawn to the bags colorful hand painted designs immediately. 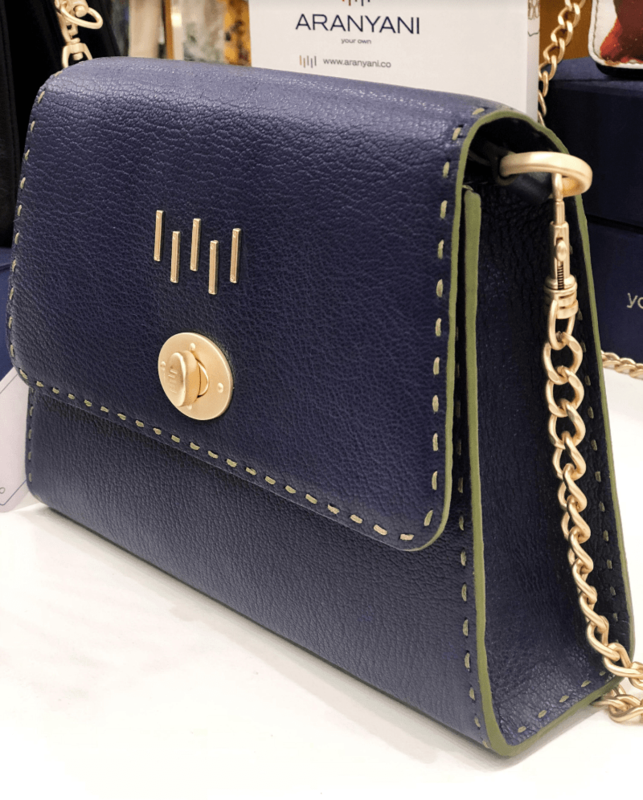 I spoke with Yenifer Lam the brand’s rep to find out more about the brand. “Aranyani” in Indian means the God of the Forest. They have two missions with the brand- to empower youth and to connect humankind with nature. The logo for the brand is made up of five lines. Each line represents the elements of nature- fire, earth, water, metal and wood. There are three sections to the collection. 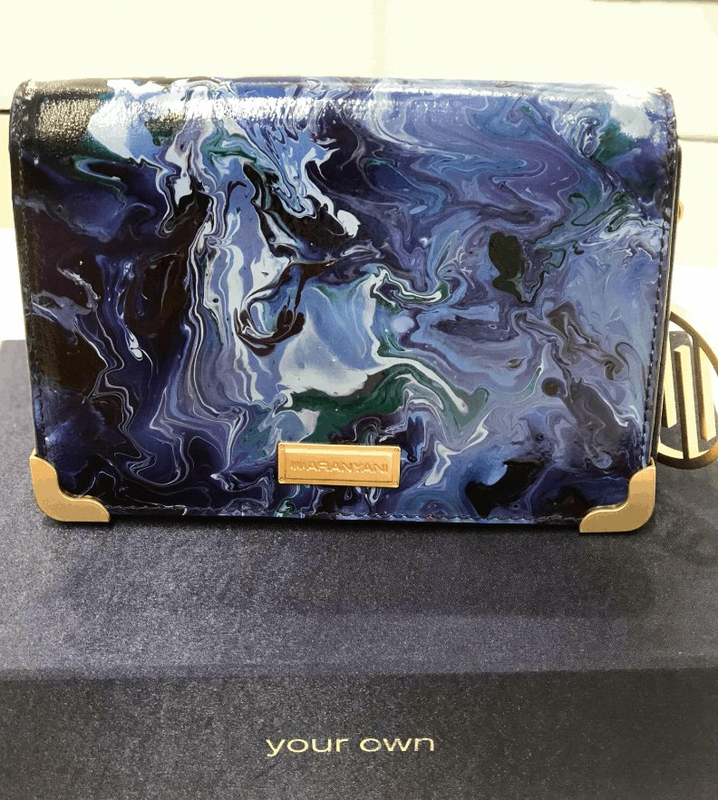 The first have been designed by partnering up with different artists from India and all over the world to collaborate on the one of a kind designs. The second is a limited edition with only five paintings because you can never really replicate a brush stroke. They are very unique. The third line is their core collection of hand-stitched leather bags with suede lining. It is very luxurious. The paint and the seal were specially developed in Germany for the purpose of painting the leather and protecting it from wear and tear. The seal preserves the leather and the paintings. The bag can be worn in all weather conditions, rain or shine! The young people that the brand works with were sent to Italy to be trained. Everything is meticulously designed and brings it to the next level of luxury but at an affordable price point. These beautiful bags are pieces of art that can be worn with any outfit! The bags packaged boxes are inked with the words “Your Own” with the message of making nature your own, make art your own. Batsheva Weinstein is a NY ambassador for Fashion Mingle. She writes the NY based lifestyle blog Sunnies & Sangria that focuses on fashion and travel. After graduating from the Fashion Institute of Technology with an AAS in Accessories Design. She uses her blog as a platform to share her passions and experiences with the world.